Finally! Next we'll get a launch trailer, and then the game will (presumably) be out. The wait is over. I could have been the only one waiting and still playing it via SCUMM VM or something to that effect (I own the disc!) but Day of the Tentacle Remastered is finally pinned down for a March 22 release. 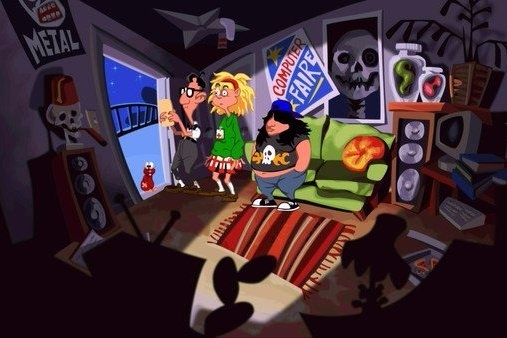 Double Fine Productions is releasing the game via PS Vita, PlayStation 4, PC, Mac, and Linux near the end of the month, presumably so you can save up these last couple weeks and pick up some of that sweet, sweet Day of the Tentacle love. The update comes packing developer commentary, a new interface, remastered audio, and the original Maniac Mansion to play through as well. I'll definitely be partaking. 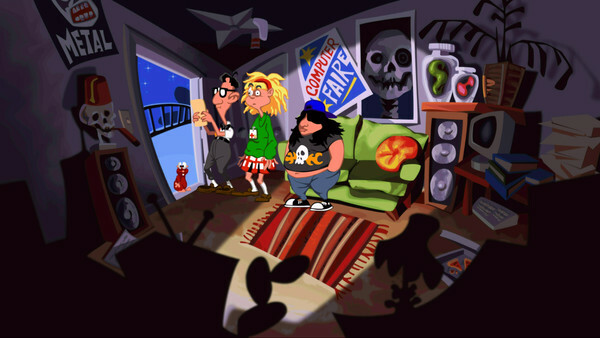 You should too, because duh: Day of the Tentacle!